I have been using Reflex front bindings for a couple years. Started using the thick padded liner at first with the black shell. After a few months I decided to try an intuition liner. I molded it a few times trying to make it fit better without pain. I did get it molded comfortably and securely but could never get a very good stack because it virtually removed all ankle flex. I switched back to the thick liner and finished off the season skiing much better and more consistently. Last year I swapped to the white cuff Reflex shell and stayed with thick liner. I've been doing a lot of snow skiing with intuition liners this year and have learned that the way the liner is molded makes a huge difference. 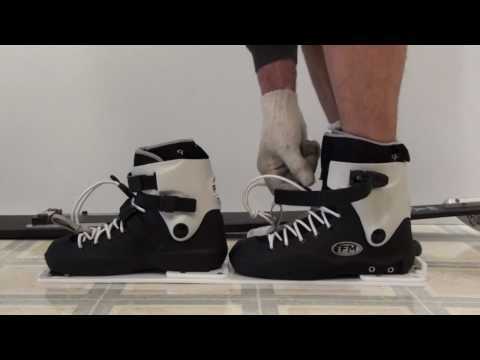 For those who have success with intuition liners in waterski boots, how did you mold the liner? I haven't had them in waterski boots, but with the ski version it is pretty hard to get them to mold correctly yourself with the home kit. The bag full o/rice doesn't work nearly as well as the heat blowers that the shops have. @oldjeep Yeah I didn't do the rice thing. I used the oven method but I did find that it was pretty easy to get the liner off centered or creased. Took a few tries to build in adequate space for ankle bones, bunions, etc. @Lieutenant Dan That's how I formed the waterski liners and it sucked. I don't know what it is but I just can't get that liner to flex very well. The liner bulges like a fat girl in a tube top. Maybe there is just too much material and I need to cut some excess off. I just used the intuitions straight out the box, no problem. It takes a few sets but then you get used to them. I just replaced my 3 year old liners and there is a difference, so it seems they need to be broken in. I used to use reflex, the thinner liners are better IMO. @londonskier - you used heat moldable liners without molding them?? @oldjeep _ yes, The Intuition liners felt perfect from new. Not the case with Reflex liners, they definitely needed shaping. The stretching was key for me to getting the extra material out of them.